Rankings of legislators are always tricky. It’s difficult to include all the little things that happen behind the scenes, the influence of members on each other, or the true motivations or beliefs of individual members. That said, it’s important to acknowledge the public actions of the people elected to represent us. In compiling this score card we considered public votes, authorship of pro- and anti-LGBT legislation, filing of resolutions acknowledging the LGBT community and committee votes on issues affecting the LGBT community. Behind the scenes work and advocacy was not included. 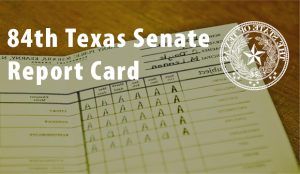 We’ve given each member of the Texas Senate a letter grade. The best lawmakers got an “A+,” the worst an “F-” (that’s how bad they are, we had to invent a grade). There is certainly room for debate, particularly when something as complicated as this is reduced to a letter grade. We’d love to hear your opinion of the score card. How’d your Senator do? Did we score them too harshly? Too favorably? Share this list with your friends and let’s have a conversation about how the people elected to represent us did over the last five months. You can see the full math behind how this list was developed HERE. Check out our list of the 10 best members of the Texas Senate on LGBT issues and the full score card. Anyone who follows Harris County Politics knew that newly-elected State Senator Paul Bettencourt would be no champion of equality, particularly given his outspoken opposition to the Houston Equal Rights Ordinance. He stayed true to form this session co-authoring anti-marriage legislation and voting for an anti-marriage amendment in committee. In good news, he kept his opposition to marriage and didn’t participate in any of the attempts to override local non-discrimination ordinances – so maybe Bettencourt’s evolving. He has another session to go before he’s up for re-election, so we’ll at least have one more chance to see how he develops on LGBT issues. Like Bettencourt, Taylor earns his spot on this list via co-authorship, seeing Bettencourt’s anti-marriage positions and adding a co-authorship to SJR 10, the Indiana-style “license to discriminate” law. Taylor also found time to vote against Sylvester Turner’s HB 679 in committee and on the floor. It’s hard to imagine how the Plano-based Senator justifies denying a future to homeless children, but he seems to have found a way. Where Huffines attacked local nondiscrimination ordinances with a blunt instrument, his fellow freshman Hall came after them with a scalpel. His SB 1155 (The Senate companion to HB 1556 by Rick Miller, which received far more media attention) attacked NDOs and only NDOs. Fortunately the bill failed to receive a hearing. Hall also co-authored anti-marriage legislation and an Indiana-style RFRA. Campbell was the first out of the gate on the anti-LGBT front this session, filing SJR 10 – an Indiana-style RFRA – on the first day of early filing way back in November. She followed that up by attempting to attach a narrower RFRA that had failed in the House to an innocuous study bill, HB 2665. Both the House and Senate have rules about germaneness, you can’t just attach any amendment to any bill – they have to be on the same topic. 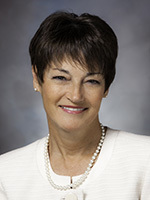 Campbell came prepared for her amendment attempt, however, citing a precedent that the Senate had allowed a similar amendment onto a similar bill in the past. The only problem? The precedent didn’t exist! Either Campbell made it up, or someone, somewhere provided her with bad information. The error was so egregious that the amendment was not allowed after Sen. Kirk Watson brought a point of order against the amendment and it was sustained (one of the few points of order sustained in the Senate this session).